The finest workmanship ensures that our products will last and retain their beauty over time. Only the finest, hand-picked original materials are selected to be used in our creations. An easy sophistication is yours with fashion-forward clothing and accessories from Indigo Instinct. 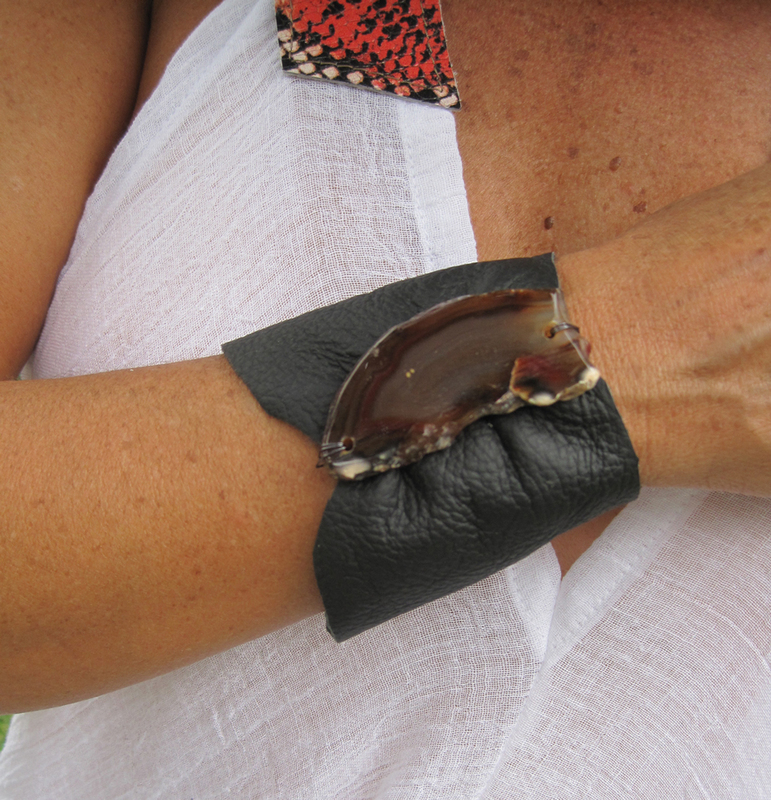 Black leather cuff with agate stone.